The Frenchman who ruled the WRC circuit for 9 years on the trot was present at the 2014 Goodwood Festival of Speed. Sebastien Loeb, who now races touring cars for Citroen in WTCC didn’t just sit around signing autographs, but he also took part in the hill climb event. His choice of machine was the 2013 Pikes Peak Peugeot 208 T16 which won him the famous time trial last year and went on to set the new world record at the Colorado mountain. 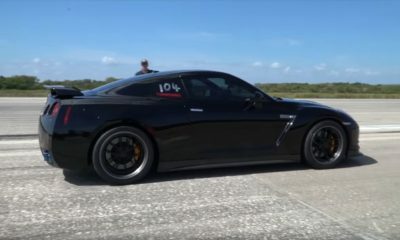 Earlier in the weekend, Nissan rose to the top of the time sheets by setting the fastest time in the supercar category with the Nissan GT-R Nismo Time Attack edition. Sebastien Loeb responded with a blisteringly quick time of 44.60 seconds. He may have taken away top honors for this year’s event, but the ultimate speed record at the Goodwood hill set by Nick Heidfeld still stands.